Business expenses can get out of hand quickly. Sometimes, you forget to budget for things that can add up. We’re here to tell you what four business expenses you can reduce today. Do you work in an office? How old is it? When was the last time the insulation was updated? Do you turn all the lights off when you leave? As a Texas based company, we know that you can’t get much work done in the heat. But, if you use heating or air-conditioning in your office, you should make sure your air-conditioning and heating units don’t have to work as hard when no one’s there. Turn the thermostat up or down when you leave and adjust it again in the morning when you get it. Make sure you turn off computers and lights when you leave. And, if you’re just starting out an office, think of investing in energy saving equipment, like more efficient monitors, modems, and even light bulbs. As an entrepreneur, you are working with a limited budget. Before you go out and start hiring employees, take a look at the projects you want those employees to handle. Are they all permanent or long term? If not, you might want to hire out on contract rather than having a permanent employee. Small businesses and entrepreneurs get a whole range of tax breaks, deductions, and benefits. We’ve mentioned some on this blog, like hiring your children. But, think about all the business expenses you incur, like travel, or business lunches, or conference fees. Are you making sure those are all reflected in your taxes? Take some time to research the benefits available to you and make sure you’re taking full advantage. If you find that you are in need of something for the office, don’t settle on the first price you find. If you’re looking for something like office furniture, you can always buy secondhand. If you need a modem or router, check more than one retailer. With the Internet, it’s easier than ever. You can also look for places that offer small business rewards programs or discounts. 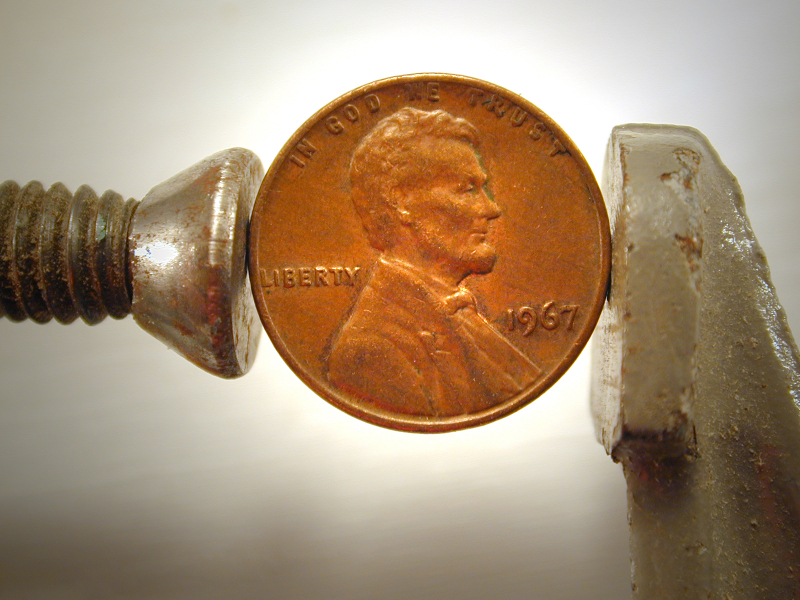 What are some ways you save money around the office? What’s your biggest business expense you forgot to budget for? Share in the comments! As smartphones and tablets become more and more prevalent in the market place, mobile payment methods are a more viable solution for small businesses and entrepreneurs to manage their money. Square, a dongle based credit card swiper for the iPhone, was an advancement in technology that demonstrated the potential the smartphone had for small businesses and entrepreneurs. Since it’s introduction, some businesses have been able to get rid of cash registers entirely and shift their entire platform to tablets and mobile phones. Square is trying to remain on the cutting edge by getting rid of the hardware and enabling geofencing, making payment possible by proximity over rather than actual card swiping. While security issues are still being sorted out, Square has remained on the cutting edge of mobile payment technology. Behind them, PayPal is attempting to pick up the slack and offer new ways to pay by phone, as well. PayPal here again offers a physical device to swipe the card with, but doesn’t have a dedicated app for iPhone or iPad. Intuit GoPayment offers a similar device as Square. It plugs into your phone and requires swiping the card. One major benefit of using the Intuit method is that the transaction syncs automatically with your Quickbooks software. Many different companies are offering ways to turn your mobile device into a cash register. Is the mobile wallet going to be the new trend? Several credit cards, banks, and cellular carriers got together to form Isis, a place where standards could be set for mobile payments. The biggest concern that remains is security. All the information is flying through the air. How can we be sure no one will pick it up? Some researchers are even devoting their time to punching holes in any wall that Square builds. While mobile payments are a great way to take your business with you anywhere, you need to make sure you are up to date on security issues. You need to protect yourself and your customers before going mobile. What are some of your concerns? What would keep you from or encourage you into using mobile payment? While everyone seems to be lauding the advent of the electric car (the bid for the first Chevy Volt is reportedly up to $180,000), the cost of the electric car is being underrated. Before you start adding up the numbers at the tank, don’t forget about the cost of charging the battery of your electric car. Electric car operating costs are translated into an mpg equivalent, or MPGe, using individual states’ electricity costs as calculated by the U.S. Department of Energy. Electric cars’ upstream carbon dioxide emissions are also calculated using DOE data on the electricity source for each state. According to BeFrugal.com, Washington, Idaho, Kentucky, West Virginia and Arkansas are the states with the lowest electricity rates, making electric cars most economical on a cost-per-mile basis. Vermont, Idaho, Washington, Oregon and New Hampshire are the best states in terms of electric cars’ lowest upstream CO2 emissions per kilowatt-hour. According to a recent survey by Kelley Blue Book, only 7 percent of shoppers said they are likely to buy or lease an electric vehicle for their next new vehicle purchase. More than 80 percent of survey respondents said they were concerned about electric vehicles’ range on a single charge and the availability of charging stations. Kelley Blue Book found that 91 percent of car shoppers think electric vehicles are expensive and 43 percent think electric vehicles won’t retain their value as well as regular gas vehicles. One problem is being addressed. Cracker Barrel announced they will be on the forefront of building electric vehicle charging infrastructure across the country. The plan is to install chargers at 24 of their Tennessee stores, including locations at Cookeville, Lebanon, Manchester, Murfreesboro, and in Nashville at Stewart’s Ferry Pike. 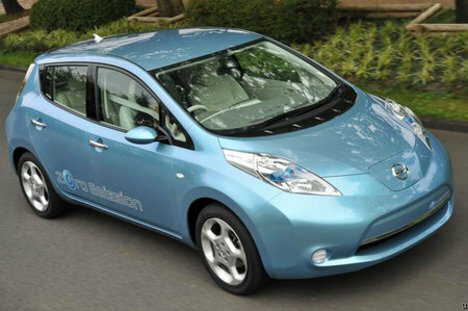 A dozen of them will have the so-called fast chargers which provide an 80-percent charge in 30 minutes. On the West Hargett Street sidewalk, next to parking spaces 101 and 102, are two reassuring signs that Raleigh will be ready for a new wave of mass-market cars that can run without a drop of petroleum. Two electric-car charging stations were installed there last week, in front of the Raleigh Municipal Building. And, who pays for that charging station? Why, the tax payers, of course. Giving the phrase “these cars are hot” a whole new meaning, Ferrari is recalling its new 458 Italia model after several vehicles were reported to have burst into flames. The luxury supercar is being recalled in order to make modifications to the wheelhouse assembly. “In rare instances the heat shield could become deformed, bringing it too close to the exhaust system and igniting,” a Ferrari spokesperson said. Ferrari is recalling all its 458 Italia vehicles after five fires were reported in California, Switzerland, China and France. Deliveries of the car in the U.S. began this summer. It has a 4.5-liter 8-cylinder engine, 7-speed automatic transmission, 570 horsepower and has a base price around $230,000. Ferrari said the company is asking owners of the cars produced before July 2010 to bring them in to have the glue replaced with mechanical fasteners. The NHTSA statement said 303 vehicles are being recalled, and owners could be eligible for reimbursement for if they spent money on repairs related to the problem before the recall was announced. I’m sure all of those car owners read this blog. Oil dipped toward $75 per barrel on Thursday, paring earlier gains, after a surprise rise in U.S. unemployment claims to a nine-month high was balanced by an upgrading of Germany’s growth forecast by its central bank. The U.S. jobless figures heightened concerns about the pace of recovery in the U.S., the world’s largest economy. Initial claims for state unemployment benefits increased 12,000 to a seasonally adjusted 500,000 in the week ended August 14, the highest since mid-November, the Labor Department said on Thursday. Analysts polled by Reuters had forecast claims slipping to 476,000 from the previously reported 484,000 the prior week, which was revised up to 488,000 in Thursday’s report. A Labor Department official said there was nothing unusual in the state level data. The data covered the survey week for the government’s closely watched employment report for August, scheduled for release early next month. U.S. September crude was down 6 cents to $75.36 a barrel. ICE front-month Brent fell 23 cents to $76.24. However, oil found some support from a rally in equity markets in Asia and Europe. European shares rose after Germany’s central bank upgraded its forecast for this year’s economic growth. Analysts downplayed the effect on oil prices of deepening tensions between Iran and the United States. Ayatollah Ali Khamenei, the country’s supreme leader, said on Wednesday that Iran would not talk with the U.S. in the current climate. (Reuters) – Oil hovered near $76 a barrel on Thursday after a three-day price slide as robust euro zone growth data were largely eclipsed by lacklustre macroeconomic data that reinforced doubts on the global fuel demand outlook. Early in the session, prices rallied after news that euro zone gross domestic product (GDP) grew at its fastest pace in more than three years in the second quarter, boosted by strong performances in Germany and France. But mixed macroeconomic data out of top oil consumer the United States later doused positive sentiment. By 10:52 a.m. EDT, U.S. crude prices for September were down 15 cents at $75.59 a barrel after rising more than $1. ICE Brent crude was down 26 cents at $75.26. “The whole week has been about poor economic data and today’s releases show that the U.S. consumer is still on the mend,” said Harry Tchilinguirian, commodity strategist at BNP Paribas. U.S. retail sales rebounded in July but showed hints of lingering economic softness while consumer sentiment appeared to have stabilized in August following a sharp drop the previous month. But earlier strong European data on Friday has helped set a floor beneath prices at least temporarily, analysts said. The Organization of the Petroleum Exporting Countries said demand for oil would continue to grow slowly in 2011, when world economic expansion is projected to be slightly lower than this year’s, leaving the current supply overhang intact. Front-month crude was on course for a nearly 6 percent fall for the week, and analysts expected it to stay below the $80 a barrel benchmark. Oil prices were in a $70-$80 a barrel range, where they have mostly traded since June, barring a brief foray above $80 in August. “The market is very much in ’08 mode when it was doubting aspects of the recovery. There is an element of suspicion about whether it’s sustainable,” said Barclays Capital oil analyst Amrita Sen. In the previous session, the number of people filing new jobless claims in the United States unexpectedly rose to its highest level in close to six months, a fresh signal of sluggish economic recovery. Stocks of oil products in the U.S. including gasoline rose last week even at the height of the summer driving season, according to the U.S. Energy Information Administration. Exxon Mobil Corp., the world’s largest public energy company reported net income of $7.56 billion, or $1.60 a share, in the second quarter, up 91% from $3.95 billion, or 81 cents a share, in the same period in 2009. Analysts were expecting earnings of $1.46 a share, according to a survey by Thomson Financial. The results are linked to improved refining margins, an increase in output, and strong performance in the company’s chemicals business according to Exxon’s CEO. The ongoing rebound in oil prices helped boost profits in Exxon’s oil production and exploration unit, where earnings rose $1.5 billion to $5.34 billion in the quarter. Oil prices averaged $78 a barrel in the quarter, up from $60 a barrel in the same period last year. The results included a slight impact from Exxon’s recent purchase of XTO Energy, a natural gas company. The $36 billion deal closed on June 25. We all knew it was bound to happen sooner or later. 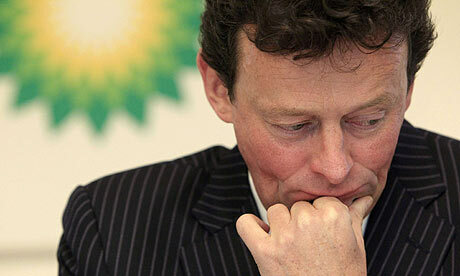 Someone must be blamed for the oil spill, and BP’s CEO Tony Hayward fell on that particular sword today. Hayward will be replaced by American Robert Dudley effective Oct. 1. Hayward will receive a year’s salary amounting to $1.6 million but further details of his severance package were not disclosed. In a cliched twist, Hayward will be nominated him as a non-executive director of Russian oil and gas venture TNK-BP, the oil industry’s way of saying: “You’re banished to Siberia”. BP has reported a second-quarter loss of $17.2 billion. Robert Dudley is a long-time BP employee with more than 30 years in the oil business. A chemical engineer by training, Dudley was put in charge of the day-to-day leadership of the Gulf Coast clean-up operation in June. But, don’t worry. It’s not over yet. There’s still plenty of blame to go around, and Hayward won’t be taking that walk of shame alone.